Back by popular demand! 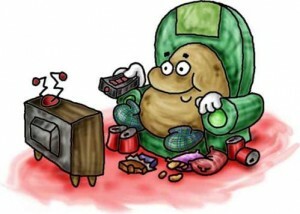 Many of us spend our leisure time in front of the television. But not all of that time is wasted as much can be learned from an hour of quality viewing. In each of the two sessions (January 6 & 13, 2013) of this course we will view an episode of a popular program and analyze its Jewish content. Using rabbinic texts we will also discuss the ethical issues presented in the particular story. Of course, we will have what every good couch potato needs, coffee cake, fresh coffee and food for thought! We hope to see you there. The cost of the class is $7.00 per class/members and $14.00 per class/non-members, included for FLC famlies. RSVP Online or call Marla in the TBS office at 714-628-4620.